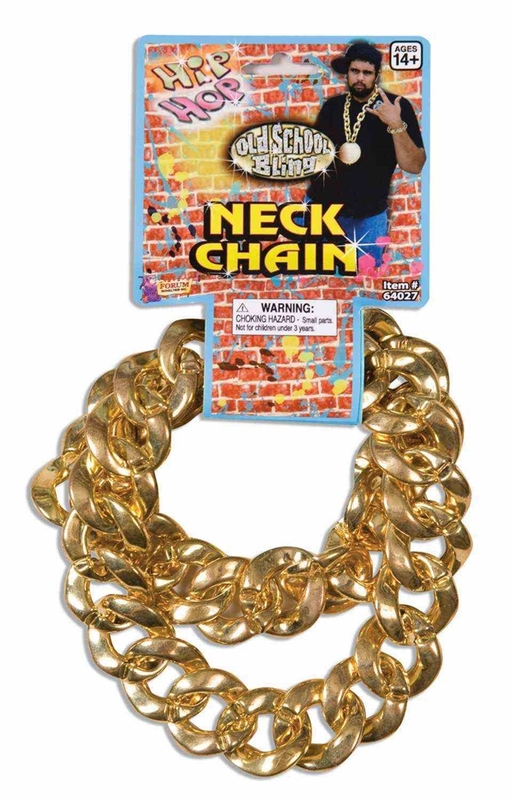 Accessorize your 80s hip hop costume with this 80s Big Link Necklace Chain. This old school bling comes in your choice of gold and silver, and features removable links so you can adjust the chain to your desired length. Perfect for Halloween, this old school chain necklace is also great for plays and 80s themed costume parties.